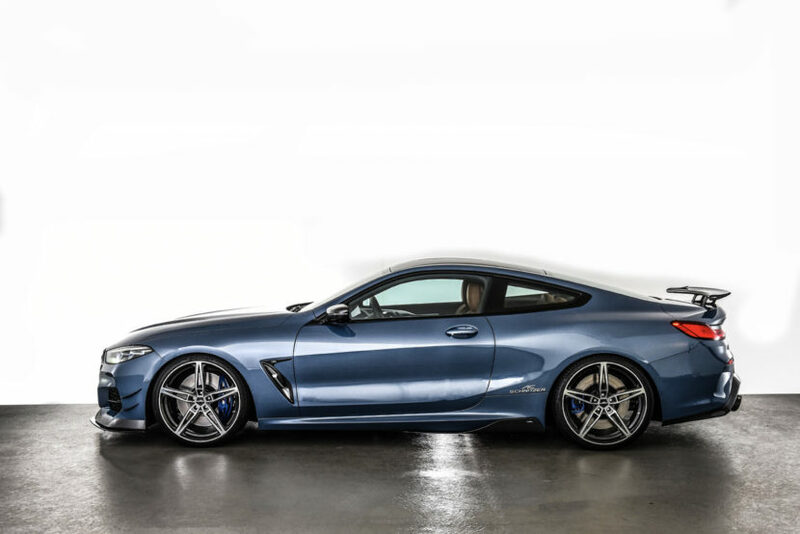 It was only a matter of time before tuners got their hands on the BMW M850i, the latest high-performance Bavarian. Thankfully, one of the first tuners to really work on the M850i was AC Schnitzer, who made a helluva car. The AC Schnitzer BMW M850i is a beast, tuned to 600 hp, making it just as powerful as the BMW M5. But it also has some tasteful exterior modifications, such as a new front lip, some front canards and a massive rear wing. All of which are made from carbon fiber, of course. 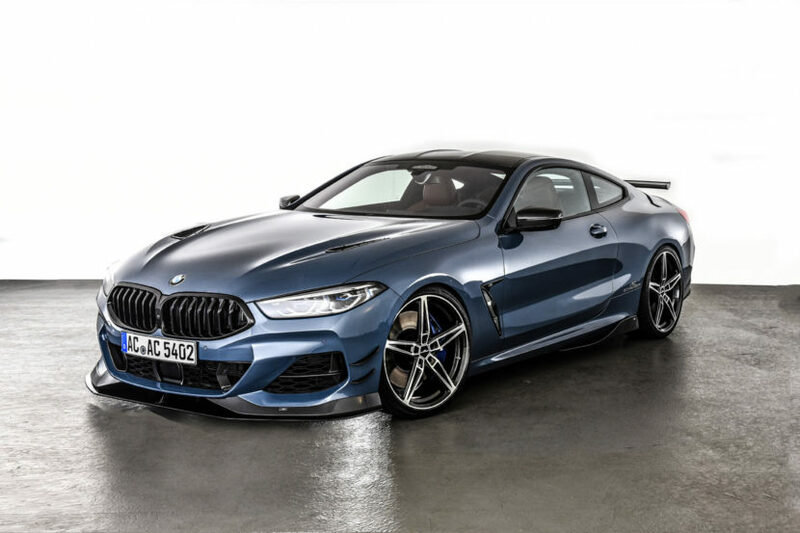 The AC Schnitzer BMW M850i made its official debut at the 2018 Essen Motor Show. In this new video, the guys from Evolve Automotive walk/talk us through the AC Schnitzer BMW M850i and give us a closer look at its new additions. The new rear diffuser is a point of interest in this video, as it’s massive but it does look very good. It sort of finishes up the rear of the car. What’s interesting is that the interior of the M850i is unchanged, as AC Schnitzer left it stock. Which is a bit of a contrast to the exterior. We also get a look at the AC Schnitzer F90 BMW M5. The BMW M5 is an awesome car to begin with but this one looks extra mean. 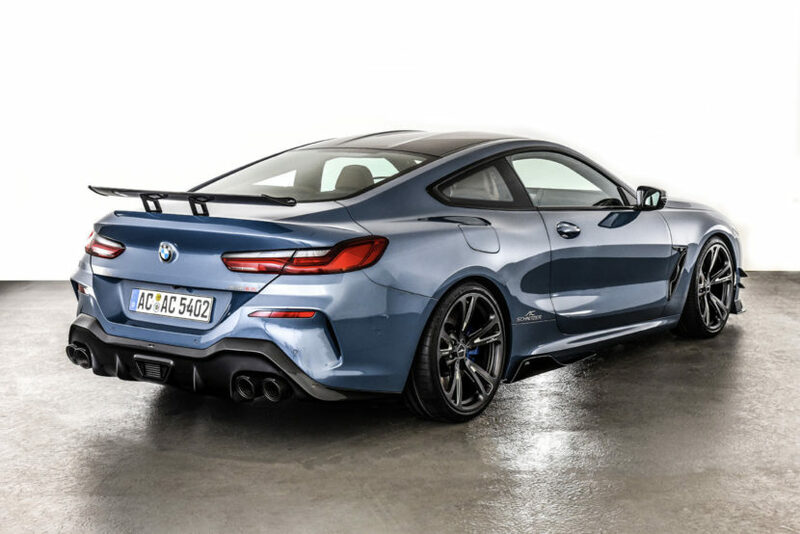 It’s large front splitter and similar wing as the M850i make it look like a proper track weapon, while the standard car looks a bit like a luxury bruiser. So if you’re looking for something to make your M5 a bit racier, AC Schnitzer could be your go-to. I do have to agree with Evolve’s Imran Arshad about the rear wing on both cars. It’s sort of cheap looking and ruins the look of the car. Though, as he points out, it’s done entirely for added aerodynamics, as AC Schnitzer actually does aero-testing on all of its parts and the spoiler is said to actually make a difference. So there’s function to its form. Personally, I’d prefer both cars without. Although, oddly enough, I do think the M5 looks better with it than the M850i does.